The sixth and fifth class boys did a basketball league at school at break .The teams were Galway , Clare , Sligo , Kerry and Kilkenny Everyday Mr.Curran refereed two matches. The two teams that got to the final were Sligo and Galway . Sligo team [ Ciaran O’Driscoll , Sidney Fletcher Burke, Rhys Mc Govern Wolfe, Cian Moloney and Ronan Tarrant ] Galway team [ Dylan Collins, Gary Lane, Luke Killeen, Thomas Doherty ] Sligo won by 8 points to 0 in the final . It was a one sided match. Well done to all the boys for participating and a very big thanks to Mr.Curran for organising and refereeing the matches. The fifth and sixth class girls did a basketball league in school every lunch time for the past few weeks. The teams were Kilkenny, Kerry, Tipperary, Galway, Clare and Sligo. Everyday at big lunch Mr Curran refereed two matches. The two teams that got to the final were Tipp and Sligo. Tipp won by two baskets but it was a close match. Well done to all the girls that participated and many thanks to Mr Curran for organising it! By Chloe Hogan and Sinead O’Connor! On Thursday 26th of February 6th class went to Ennis National to play in the Marion Keane Tournament. The girls played against Ennis National and they beat us by a few baskets. Then they played against Holy Family and we beat them by 6 baskets. The boys played Ennis National and Holy Family and the beat both teams. 6th class will be going on another day out for the Marion Keane Tournament on March 12th against Scoil Chriost Rí in Cloughleigh. 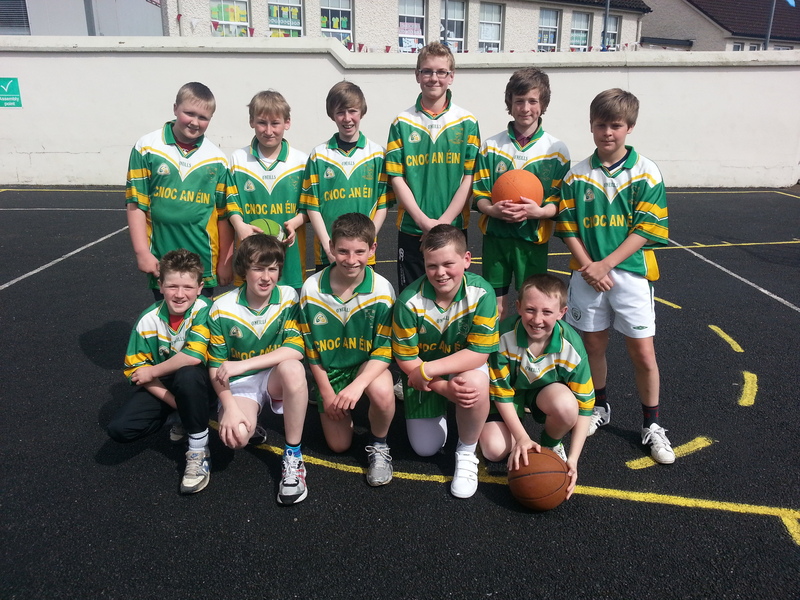 Sixth class basketball finals May 14: This year the finals of the Marion Keane basketball tournament took place in Lissycasey. When we arrived in Lissycasey, we put on our gear and got ready for our first match. We were playing St. Tolo’s in our first match, we won by a couple of baskets. Then there was an exhibition match between Cloughleigh and Lissycasey. We then played our final against Sixmilebridge , but unfortunately, we lost!!!! We had a wonderful day and enjoyed our journey to the final. By Fionn O Brien and Ben Ryan. A very successful and competitive 5th & 6th class boys & girls basketball league has just finished during break times. Both boys and girls teams have so far played and won three matches in the Marion Keane basketball tournament and have progressed to the next rounds. 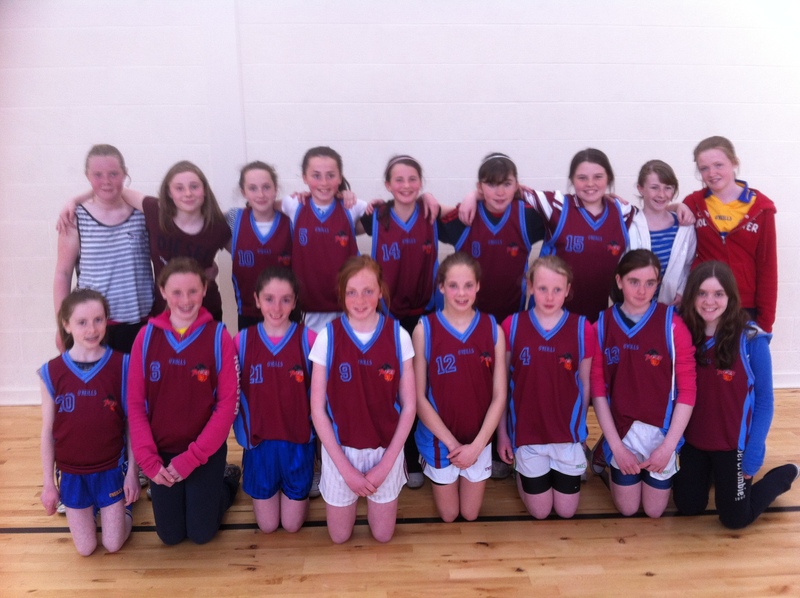 On Thursday 23rd of May the girls of 6th class went to Lisseycasey for the basketball semi finals and finals. In the first game they played Gaelscoil Kilrush. Unfortunately, they lost by a point! The final score was 20-21. Gaelscoil went into the final against Toonagh. Toonagh won the tournament. Well done to them and many thanks to Ms.O’Neill. She is a great coach. On the 16th of May the Sixth class boys travelled up to Lissycasey to play in the schools finals. In the semi finals, we played a strong Ennistymon team, and came out on top 22 -17. In the finals we faced a very skilled Annagh side. We started off strongly but couldn’t keep it up and lost 26-12. We got trophies and snacks after the final. We went back to school after a fun day! Thanks to John Corbett, Colm Forde and Jim Curran. On the first of May, Sixth class girls played against Gaeilscoil Micheal Chiosog in the quarter finals of the girl’s basketball league. It was an extremely close match! We went from being three baskets down to winning by a basket. We were so happy to win and are now in the semi-finals. Thanks Ms. O Neill!!! April Update: Both boys and girls have reached the quarter finals of their respective competitions. Well done to all! Then the boys played their match. It was a close match but the boys made a brilliant come back. What a bad day for Scoil Chríost Rí but what a great day for Knockanean!!!!!!!!!!!!!. By Niamh Ní Choileáin &Eimear Ní Choileáin.